"Ferris wheels are the new boomboxes!" Love, Simon has changed the game for LGBT+ movies forever - that fact remains undeniable. Though we saw the unlikely event of Moonlight, a black gay love story, being honored at the Oscars a few years ago, that didn’t really mark a change in gay stories making it in the mainstream. Like Brokeback Mountain, its success is seemingly still an anomaly. Both those films, and many others in the LGBT category on Netflix and beyond, all too often involve a deep and profound suffering that the gay characters experience. That’s not to say there isn’t a place for those movies — they can often be incredibly cathartic for LGBT audiences, and powerful pieces of art in their own right — but it means that happy gay love stories are few and far between. Love, Simon changes that. This film gives LGBT youth the coming-of-age, first love, high school story we’ve always craved. The drama is of course impacted by Simon’s sexuality, but the angst levels are similar to any teen rom-com — there’s no threat of actual death, just the death of a high school reputation. 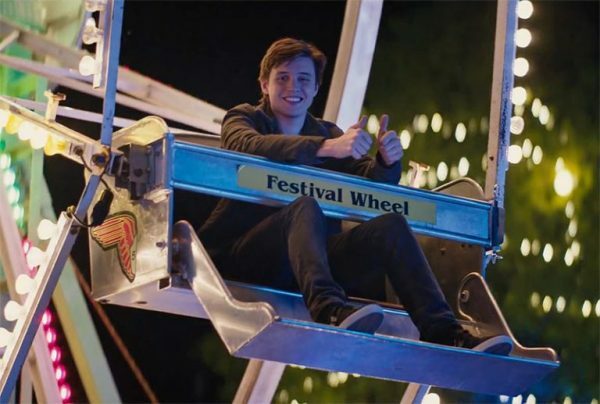 Simon Spiers (Nick Robinson) is an ordinary high school kid, with a loving family, a great group of friends, and a secret: he’s gay. The drama unfolds as an anonymous online platform reveals another closeted gay student in school, under the alias Blue, who Simon starts up an email conversation with. As their conversations grow deeper, as do their feelings for each other, and Blue’s anonymity keeps Simon and the audience guessing as to who might be his secret love. The film plays with this fact, superimposing various characters’ voices and faces into situations as Simon’s suspicions flare up in a highly entertaining manner. As well as a candy-floss sweet love story, the depth and care surrounding Simon coming out to the people he loves is truly affecting. Jennifer Garner’s supportive parent speech blows Michael Stuhlbarg’s in Call Me By Your Name out of the water, only because it feels so unbelievably relevant and real, compared to the highbrow intellectualism of Elio’s father. Rather than referencing Latin literature and Ancient Greek Grammar, Love, Simon references Harry Potter and Panic! At The Disco - no doubt connecting perfectly with its target audience. The moment between Simon and his mother is so wonderfully cathartic, and will no doubt go down in history as an iconic pop-culture cinematic moment of the decade. As will the final romantic conclusion of the film — boomboxes are out, Ferris wheels are in! Simon’s group of friends: Leah (Katherine Langford), Nick (Jorge Lendeborg Jr.), Abby (Alexandra Shipp), and Bram (Keiynan Lonsdale), have an effortless chemistry and banter that creates a wonderfully inclusive tone for the film. Logan Miller’s smarmy antagonist Martin exemplifies the worst sort of romantic entitlement that works as a perfect foil to Simon’s own perilous journey to romance. The only thing that left me dissatisfied with the film is the treatment of Abby. One of the only two women of color in the film, her beauty and desirability seen as a commodity by the boys around her — both those that want to date her and even Simon who feels that he can use his friendship with her as leverage. It’s just unfortunate that in a film that’s so positive in its representation for other groups throws women of color somewhat under the bus. Though she’s still a great character, and well acted, the plot devalues her agency in an uncomfortable way. The power of Love, Simon lies not only in giving LGBT teens a story that reflects their experiences, but also in normalizing the fact that everyone can relate to gay characters, and by extension real LGBT people. 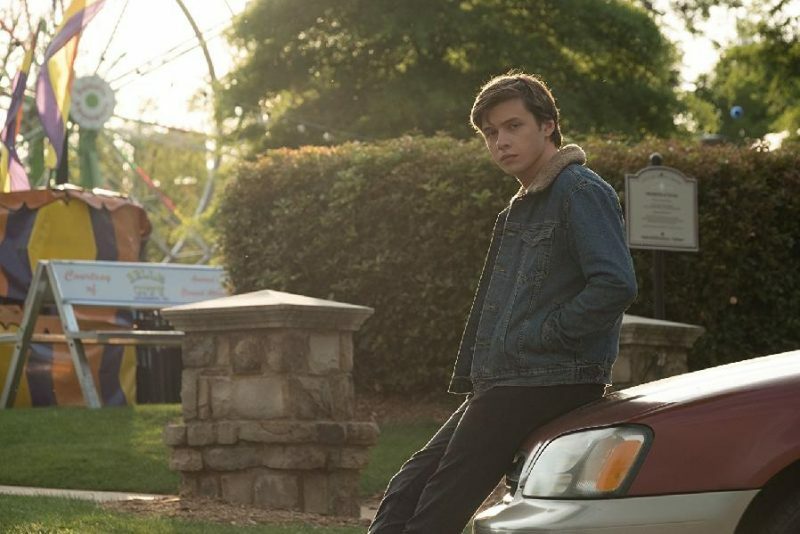 While there is certainly room for painful coming out stories to be given the recognition they deserve, Love, Simon proves that there’s room for as much diversity in LGBT stories as there is in the LGBT community.